Growing Self-Sufficiency by Sally Nex is a broad-spectrum resource on getting started in multiple areas written by someone who’s been there, done that, and is willing to give you the overview you need to move forward with your goals. Part one of Growing Self-Sufficiently is all about getting that seed in the ground and beginning the journey. Sally starts with what she calls “the easy hits.” She lists and explains how to grow what she believes are the five easiest crops to achieve almost year-round production. She also includes some perennial easy hits. Once you’ve got these perennials going, you just have to concentrate on a few annuals each year. Don’t have much room for a garden? Try Sally’s section on three-pot veg plots. 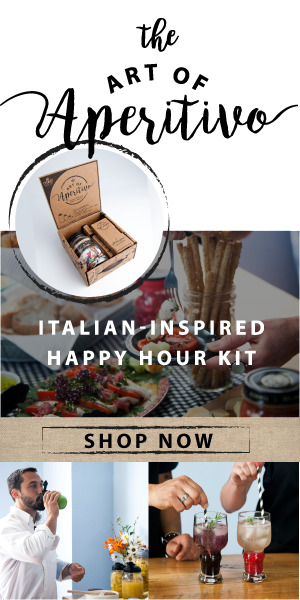 If you have a place to put three pots, you’ll find value in listening to her talk about various vegetable variety and timing combinations that will add homegrown herbs and vegetables to your menu in no time. Trying to concentrate on an herb garden right now, but not sure how to do it or where to start? Sally talks about herb garden combinations to cover your wants and needs. She tells you how to grow an herb garden for meats, fish, and for vegetables and salads. You’ll appreciate her advice on what to grow to meet your needs, and then how to grow it. Moving on to trees, Sally addresses the issue of space. We don’t all have the space for a luxurious orchard. If this is your situation, you’ll appreciate chapter four, Plant A Mini Orchard. This chapter addresses not only the orchard that “fits into your city backyard” but also the vertical orchard, the container orchard, and even the no-garden orchard. She gives you practical tips on how to squeeze in your fruits no matter what your space issues are. If space isn’t your issue, but rather the hungry gap–that time in spring and early summer when nothing is yet ready to eat–then you’ll want to glean ideas on how to eat fresh and get some early produce during this time that you may not have previously thought about. And once those ideas are planted, she’ll tell you how to make those dreams a reality. Now that you’ve got a good thing growing, you’ll want to make sure you aren’t overflowing with produce in one season, and starving during the other three. Sally gives good advice on how to eat seasonally–including how to cheat the seasons just a bit. This section is best for those with a milder climate. If you live in a very cold climate 3/4 of the year like I do, this section isn’t going to help you work magic, but there are still some good tips to grab onto here. Chapter six is titled The Good Growing Guide. Sections are further broken down into Earthy Matters, Looking After Baby, Watery Wisdom, Healthy Diets, and Knowing Your Enemies. This chapter discusses things you’ll want to know about the soil, taking care of those seedlings and young plants, watering needs, fertilizers, and things that would wish to do harm to your new greenery. For many, the first step in digging deeper is finding more space. Could there be hidden places to grow your produce well within plain site? Sally Nex tells you that, yes, indeed, there may be options right in front of you that you may not know about. Once you’ve found your space and you’re growing your own foods, you’ll soon want to save your own seeds. The problem is, not all seeds are gathered in the same fashion. Sally breaks down the most popular plants into categories and then tells you how to master each category, and then she shares some helpful tips for individual plants. You’ll learn how to pick the right plants to set aside for seed production, as well as when to do it. The many pictures also make it is easy for the reader to understand the seed collection process. Now that you’re swimming in a sea of produce, you need to know what to do with it. Chapter nine tells you how to start putting up everything you’re growing. This chapter is not like your ordinary canning recipe book. When Sally talks about drying produce, she tells you how to do it the old fashioned way. I didn’t see a mention of a dehydrator or an oven in this chapter, although she does talk about freezing in the traditional way. Also talked about is the art of dry storing (which I refer to as root cellaring). Want to make preserves, pickles, and try your hand at bottling (water bathing)? That’s in here too. Be advised though, if you want to read about pressure canning, you won’t find it here. But don’t let that disappoint you. Look past pressure canning, and you’ll be able to appreciate all these alternate forms of preservation. In addition to growing your own food, you should think about what you drink. Sally points out that, “What you drink is as important as what you eat.” She’s absolutely right. What good is it to make sure you’ve got the most wholesome of foods in your bodies and then pour in drinks that are full of ingredients you’ll never be able to pronounce? In chapter ten Sally talks about cordial concoctions and boozy brews. Don’t think you’ll find just your generic grape wines here (although they are included). In addition to sharing her favorite concoctions and brews, she ends with how you can brew your favorite vegetable wine. She gives five types of fruit every gardener can grow for alcoholic and non-alcoholic drinks for those who don’t know where to start in this area. The key here is that these five fruits are indeed easier fruits to grow. When you desire the self sufficient lifestyle, you not only want to provide your own food, but you desire a more natural life in general. Chapter eleven concentrates on the backyard medicine cabinet. I always caution against someone jumping all-in to the notion that plants can heal everything. That’s why I was so delighted to see Sally caution readers to “be self-reliant as far as is sensible but know where to draw the line.” She gives no guarantees that she has the magic potion to heal all your ailments, but instead gives you the best plans to begin this self-reliant journey according to your goals. She give plans and directions for growing herbs for health, your own tea garden, preventing disease, coughs and colds, beauty, bath oils and scents, and skin tonics. Should you run into an herb you’re unfamiliar with, guidance is given here too. Chapter twelve was perhaps the most surprising chapter to me. While most self-sufficiency books are full of information on produce and animals, many leave off how to reuse and recycle items on your homestead to meet as many of your other needs as possible. Although Sally doesn’t tell you how to fashion everything you’ll ever need or want on your homestead, she devotes chapter twelve to encouraging you to grow five plants that you will be able to harvest later to “provide yourself with a lifetime’s supply of plant supports, string, fertilizer, potting compost and plant labels.” For those of you who could spend way too much money in the gardening department like me, this chapter is great inspiration. In her last chapter, Sally addresses supplying your own meat and eggs. She does not tell you everything you’ll ever need to know about raising animals and treating any injuries or ailments, but she does give an outline for care of each animal, as well as some advice for choosing animals best suited for a busy lifestyle. The body of Growing Self-Sufficiency takes up the first 227 pages and is filled with vivid and real pictures. I imagine the plants and animals found in these pages to be right off Sally’s allotment (or as I would call it, homestead). I hear years of wisdom in her words, and appreciate that she was willing to share some of her best secrets to success, not just the same generic gardening advice I find in so many books. The repetition of her cautions about which plants are harder, or more challenging, as well as brief quips about her own failures along the way gave me a trust in the things she had to say that I had not thought about previously. I always appreciate someone who can honestly tell me about failures instead of guaranteeing my success simply by reading their words. I read this book from front to back–including every little detail about growing plants I’ve grown for years. I took notes and marked pages I wish to visit on down the road in my own journey. If you’d like to pick up your own copy of Growing Self-Sufficiency—and I highly encourage you to–then I would only give you two words of caution before you do. First–this is not an all-encompassing, how-to-grow, garden book. If you are looking for how-to grow tomatoes, how-to grow onions, how-to grow [fill in the blank], then this will likely not suit your needs. I imagine this book to be the collective years of Sally’s own journey, and advice that you would want to receive from a seasoned homesteader as you sat down for tea each week. Although she does tell you how to grow nearly every plant she mentions, it is limited to the plants that she mentions. You will not find an A-Z glossary for every plant you could want. Second–this book is perfect for those who are in a milder climate looking to grow as close to year round as possible. Sally’s experiences throughout this book are very obviously perfectly suited for a European audience. However, I know many of my readers are here to learn about my 70 day zone 4 growing climate, and I just don’t want you to think this book is the solution for that environment. That being said, this book will give you ideas to grow wherever you are, even if you choose different plants. 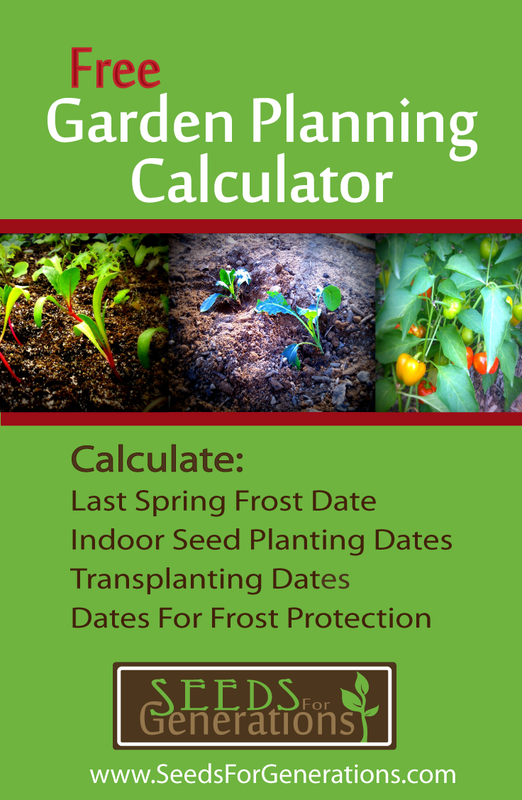 It will tell you how to time your plantings for your needs, even if your growing season is much shorter. And it will help you decide which animals are best suited for the time you have to offer them. Are You Ready To Grow A Self Sufficient Life? Are you ready to get growing, or expand your current growing? I knew you’d say yes. So here’s your opportunity. The kind people from Green Books graciously gave me an extra copy to send to one lucky reader. Please take a minute to enter to win your copy here. None of your information is shared. I only use it to verify honesty of entries, and to contact you via email should you be chosen a winner. Fine print: Winner will be drawn at random via the Rafflecopter (which I have no control of). Winner must be 18 and reside in the United States. Once drawn, the winner will be notified via the email address entered and have 72 hours to claim their prize and provide their valid shipping address. If winner does not respond within 72 hours, a new winner will be chosen. Neither myself nor Green Books will be responsible for books that are misplaced in the mail. Should the address you provide be unable to receive the package, you forfeit your entry so please make sure you are able to receive the package before you claim your prize and provide your address–I only have one book to send and no more. The winner’s first name and last initial will be published on this site, on Grace Garden And Homestead’s social media, as well as provided to Green Books. Your privacy is important to me and no personal information (including your email and physical address) will be shared with anyone. Prize is one book: Growing Self-Sufficiency, a $24.99 value. Not feeling lucky, or just don’t want to wait? No problem. You can head over here, and get your own copy delivered straight to your door. Once you get your book, you’ll be inspired by Sally’s experiences-both failures and successes, as you get to know her as an honest and genuine allotment holder. Prepare to sit down with your own cup of tea and lose yourself in this fine edition for hours. I was given a copy of this book (and one to give away) in exchange for my honest review. All opinions contained in this review are 100% my own. Thank you Green Books for this opportunity–may your book be a blessing and inspiration to many on their journeys toward self sufficiency. That sound like a great book for people with not a huge farm. Mini orchard? Sounds great! She has some really good ideas in here I think you’d appreciate. Good luck on your entry Krista! Oh boy I’m so jealous you have me wanting to warm my toes in front of your roaring fire. NO FIRE PLACE IN THE HOUSE I LIVE IN. Just heaters. But never to mind I can at least remember what a fire feels like. I tried growing mushrooms last year what a flop that was. Spent $53 on mushroom sporn and only got three mushrooms out of it. Peter, I love all the little details you share with me on a regular basis. I remember the days of heaters–and how wood heat is just different–warmer I suppose. As I read your note, I could imagine the gentle buzz of heaters in the background. I’ll be the first to admit, mushrooms aren’t my forte either. I forage for them in the spring and fall and go without the rest of the year. $53?!?! Wow. Life wasn’t nice to you there–I hope this year treats you better! I raised 6 kids off-grid on a ranch in Colorado; butchered our own meat, grew our own food, and canned like a crazy woman. Now it’s just me (I’m 71) and a teen-aged grandson and I need to make things a little easier. I’d love to read this book – then maybe pass it on to a grandchild. Linda–I only wish we had run into each other earlier in life! I’m still a bit behind you (I won’t give away my age, but will say my mother is in her early 80s). A teenaged grandson is a wonderful blessing on the homestead! I think this book would give you some scaling-down ideas, but would be better suited for that grandchild 🙂 . Good luck on your entry!